Here's some hot off the press #Veganuary news for ya gang - Candy Coat [who you may remember I featured recently in this post] have just launched their brand NEW nail polish collection; boasting 80 original & exciting shades. All of which are 100% vegan, cruelty free and professional salon quality. And one of the biggest collection offerings that the beauty industry has to offer! I'm super excited about this news, as I love the bright, pastel shades I always stalk over on Candy Coat's Instagram. 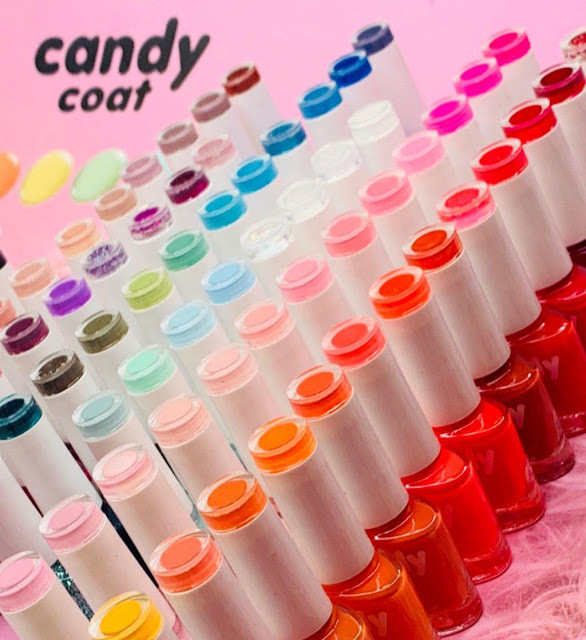 Renowned for retailing a huge range of gel polishes & other accessories - including their best-selling UV/LED 48W lamp, Candy Coat have taken their slayage one step further; expanding their offering to include more everyday nail polish colours, for those preferring traditional methods of nail colour application. Beautifully formulated - with a quick dry & silky-smooth finish, each shade is ded pigmented; designed to leave ya nails in immaculate condition, with blindin' colour pay-off. Not only does each colour deliver a high quality of coverage, they also each promise to deliver high quality & long lasting results. The new Nail Polish Collection, retailing at a very reasonable £6.00 per 10ml bottle, has every possible occasion and colour desire covered in their WHOPPING new shade selection. Honestly, the pastels & nudes in the line-up have me weaaaaaak. N°264 is the prettiest coral - and don't even get me started on N°435; the ideal mix of duck egg blue and mint green [legit my fave colour ever.] There's new mattes, statement reds, chunky glitters, soft sparkles and subtle shimmers galore in this HUGE new collection; each promising to leave ya nails picture perfect. I CAN'T COPE. 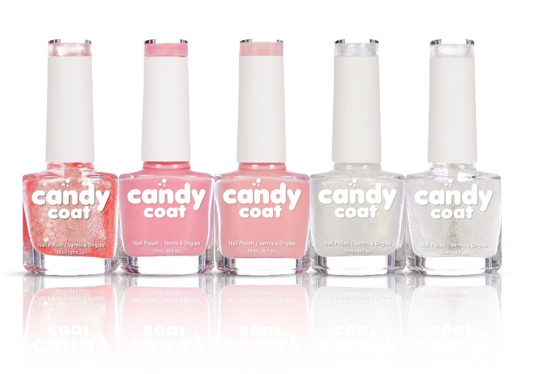 Have you tried any of Candy Coat's nail polishes before? Are you taking part in #Veganuary this year?